The Feast of Fear has arrived! What happens...when Mogloween doesn’t end? This year, one mad scientist aims to serve up a taste of terror you’ll never forget...a Feast of FEAR! And if he succeeds, those two holidays will never be the same again! A plague of Pumpkin Spice is upon us... and only you can help save Lore! 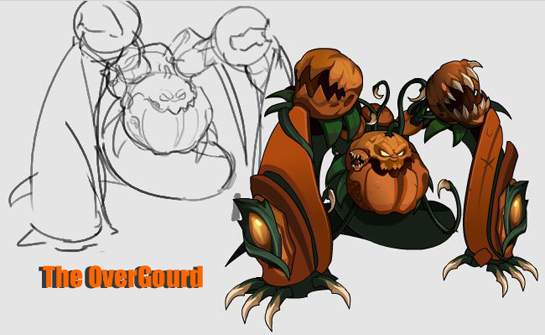 Join Oishii and the Magical Candy makers to stop this plague of Pumpkin Spice and stop Gourdello and his evil plan to unleash the OverGourd! Gather all the spice you can to stop Gourdello from taking over even more Holidays! 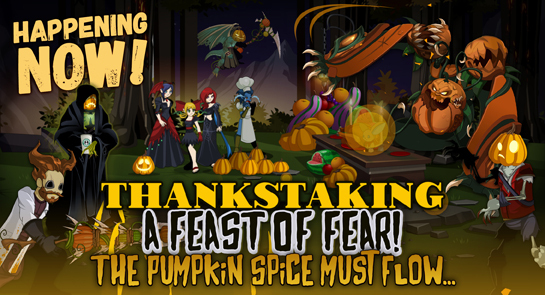 Oishii will take all the Pumpkin Spice you can gather in exchange for some gourd-geous new gear!